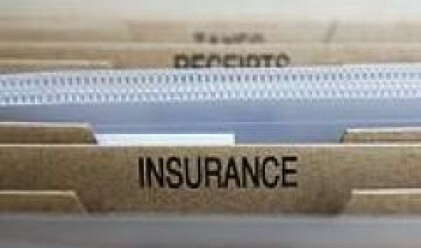 Romanian insurance companies' sales reached 7.17 billion RON (2.15 billion euros) last year, up 25 percent on 2006, on the back of motor insurance and life insurance, the latter of which picked up pace, Ziarul Financiar reports. According to data from the Insurance Supervision Commission, the gross premiums subscribed on the general insurance segment amounted to 5.73 billion RON (1.7 billion euros), an increase of 25 percent on the previous year, while sales of life insurance amounted to 1.44 billion RON (450 million euros), an increase of 26 percent. "The growth rate registered by life insurance was much faster than in 2006 and stood at 9.66 percent. Last year was the year when life insurance started afresh," stated Angela Toncecu, CSA chairperson. The Insurance industry has a significant potential to develop over the coming years, considering the insurance penetration (the share of gross underwritten premiums in the Gross Domestic Product) stands at just 1.77 percent compared with 1.67 percent in 2006. This figure is much less than in other countries, such as Czech Republic, where penetration stands at above 4 percent, the same as in Poland. Motor insurance remains the market's growth driver, and accounts for 72 percent of overall general insurance underwriting, which stands at 4.12 billion RON (1.23 billion euros), 46 percent of which is accounted for by comprehensive insurance and 26 percent by auto liability insurance (RCA). Fire and natural disaster policies account for a significant share in the sales of insurance companies, 11.3 percent, as do loan insurance policies - 6.9 percent. Insurance companies settled 3.35 billion RON (1 billion euros) in claims last year, almost half of the total of gross underwritten premiums. Almost 95 percent of this money went to general insurance policy settlements and the rest to life insurance settlements. Claims settled for comprehensive insurance, the most unprofitable line of business as far as insurers are concerned, accounted for 54 percent of the total claims settled for general insurance policies, that is 1.7 billion RON (500 million euros). Six out 10 euros collected by insurance companies account for settlements, which go to repair shops and automotive parts importers. The money paid for auto liability insurance policies account for 23 percent of the total claims settled for non-life policies - 722 million RON (216 million euros), while settlements for loan insurance accounts for 13.3 percent - 421 million RON (126 million euros). CSA did not reveal any data about the financial results of the insurance companies. The insurance market posted a 20 million-euro net loss in 2006, because of the high amount of claims settled on the automotive segment.